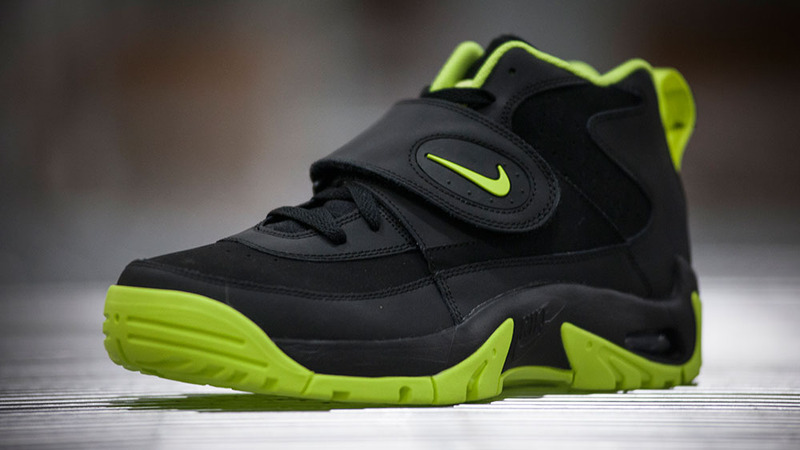 Updating a classic for today's crowd, Nike rolls out the Air Mission in an ultra-sleek new colorway. 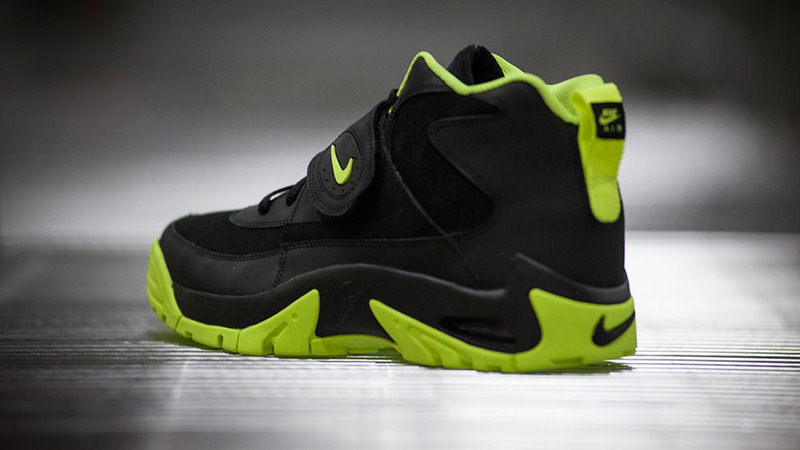 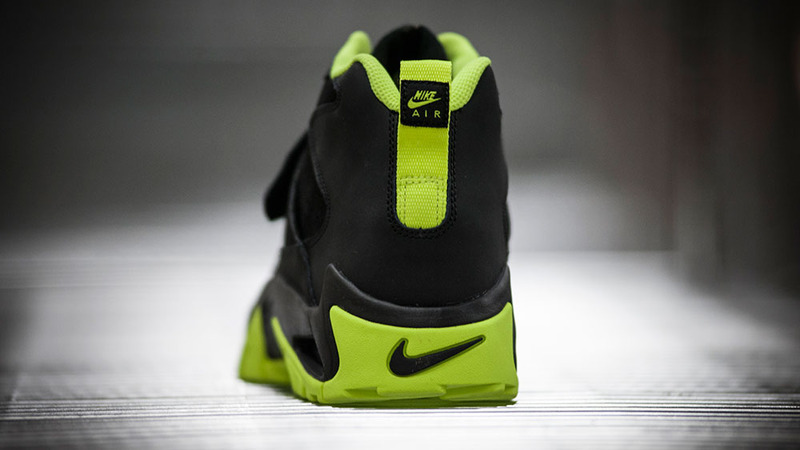 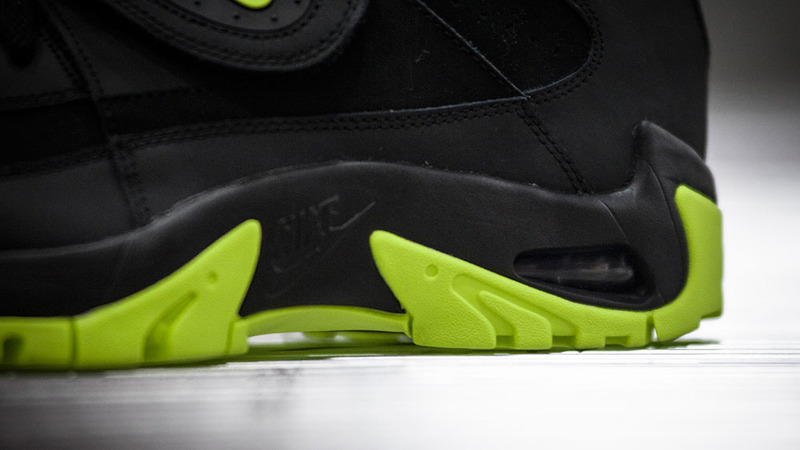 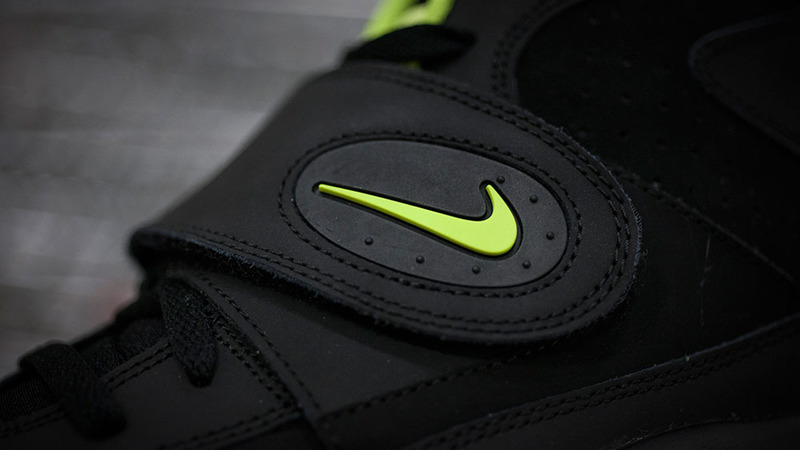 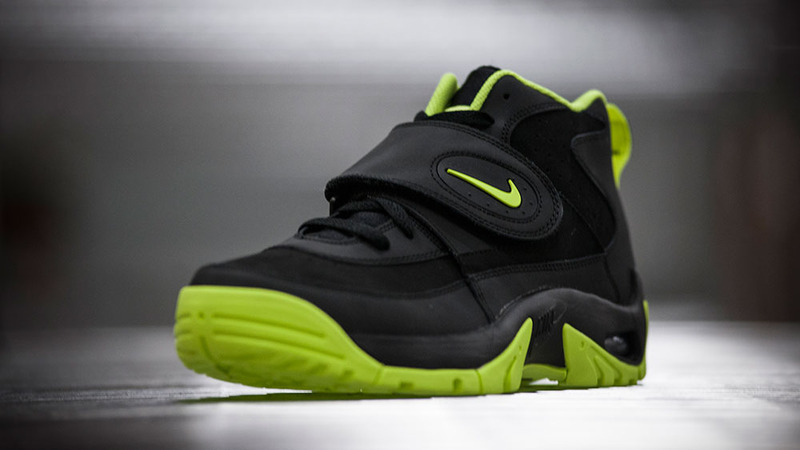 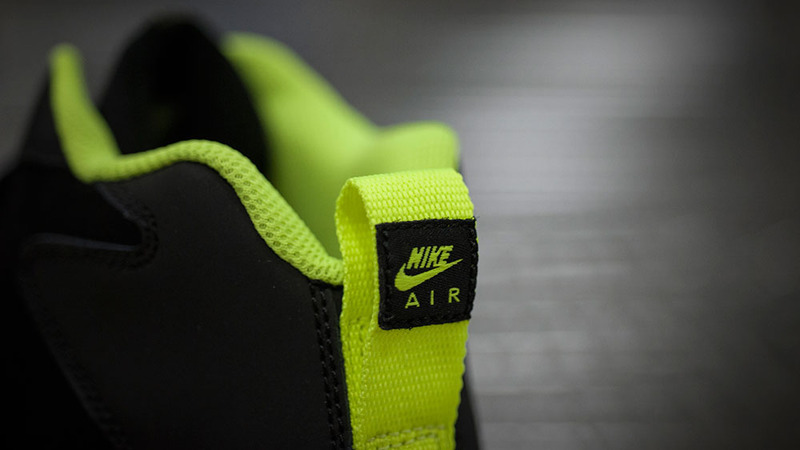 The shoe, famously worn by Junior Seau in 1994, returns with a stealth-like black upper, contrasted by volt color pops on the Swoosh branding, inner lining, pull-tab and outsole. 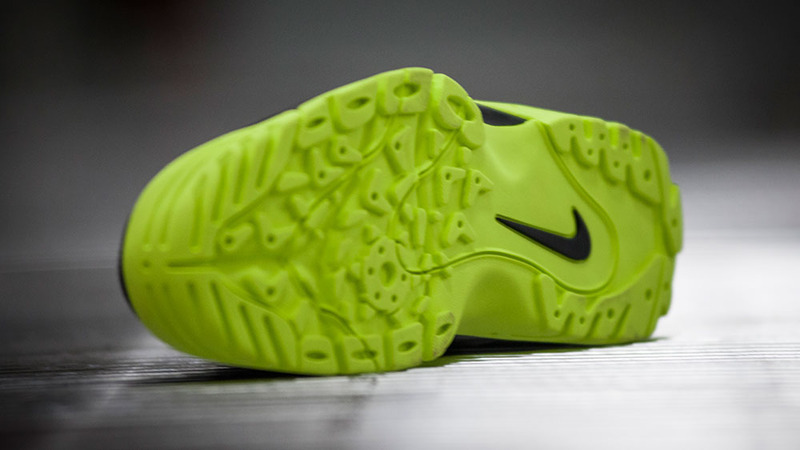 Stop by Finish Line this Saturday, January 11 at 8:00 a.m. to grab your pair.